I have to admit. When I heard this year’s winner of the Best in Show was Flynn, the adorable Bichon Frise, I picked up my little Harley, cheered, and kissed her while we did a little dance. Flynn’s magnificent circular groomed head, neatly trimmed body, and strutting steps was the picture of Bichon perfection. He looked like my little Harley when her hair is long, clean, and fresh from the spa. Flynn was the second Bichon Frise to win Best in Show since the 2001 Westminster dog show. Named after the Westminster Hotel, the group of sporting enthusiasts met to share tips, pointers, and adventures about their canines; the Westminster Breeding Association was created sometime around 1876. These men loved to share tips on how to “raise Pointers for hunting and field trials”. That same year, to celebrate America’s centennial, the association helped structure a dog show held in Philadelphia. After the show’s success, the association officially changed their name to Westminster Kennel Club (WKC). In 1877 they incorporated the name and the club held The First Annual New York Bench Show of Dogs. “Benched” refers to those competing dogs required to remain at their assigned bench for the entire competition as breeders and spectators are educated on each breed. As the association started to grow, in 1884 the Westminster Kennel Club and the Philadelphia Kennel Club met and established the American Kennel Club (AKC). The AKC became the national governing body for dog registration and dog shows. In 1905, Westminster becomes the largest dog show in history. It exhibited over 1,752 dogs. 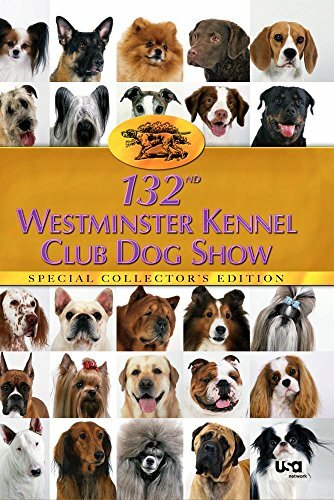 Two years later, the first Best in Show award was presented for the first time at Westminster and in 1924, The Westminster Kennel Club became the first club to oversee Best in Show. They judged the competition in accordance with the new rules and format enforced by the AKC. The Best in Show competition included five group winners: Sporting, Working, Terrier, Toy, and Non-Sporting. 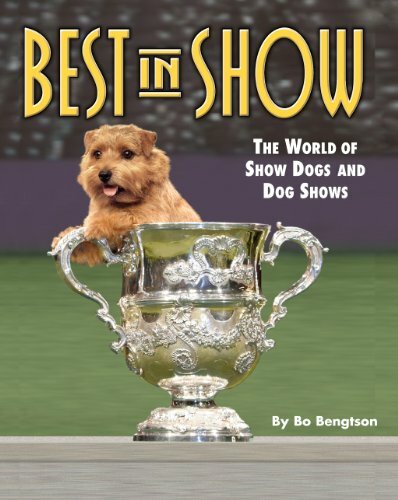 In 1948, coverage of the Westminster Best in Show was shown on television and in 2005 breed judging was broadcasted to the general public via streaming video on WKC’s website. This became the beginning of the show’s popularity which increased the following year and continues to grow in popularity today. Thousands of dog breeders, handlers, and owners enter their babies to Westminster in hopes their babies are recognized as the Best in Show. However, the road to Westminster is along and tedious process that requires countless hours of training and grooming. Canines and their handlers travel to compete to earn top rankings, champions, and qualifications to advance with the “best”. The road to Westminster begins with the competition of AKC registered purebreds. Handlers train their canines to earn 15 points and two major wins to become an American Kennel Club “Champion of Record”. Once your dog has earned status via several championships, they may enter Westminster competitions. Only the winners of the Best of Breed advance to compete in the classified groups they belong to. “A variety is a division of a breed based on coat, color or size. Each variety competes separately in the Group.” The first level of competition at Westminster starts with the Breeds/Variety competition. SPORTING: Bred to assist hunters, sporting dogs are extremely energetic with solid temperaments. HOUND: Hunters by trait, hounds are trained to catch the game themselves or keep it until it’s owner arrives. They can also track by scent. Sight Hounds: Use their eyes to hunt. Scent Hounds: Use their extraordinary olfactory senses to track. WORKING: Working dogs have a strong and powerful build. They are also intelligent and are able to perform a plethora of trained tasks. These dogs usually work as police, military and service dogs. TERRIER: “Determined and courageous,” Terriers are “small and agile” and were developed to “quarry” for rats, foxes, and other vermin. HERDING: Herding dogs are born with a natural herding instinct to move livestock around. They are found in ranches and farms helping with the herd of sheep, goats, etc. However, standards are open to interpretation based on the written, maintained, and owned regulations of each breed’s parent clubs. 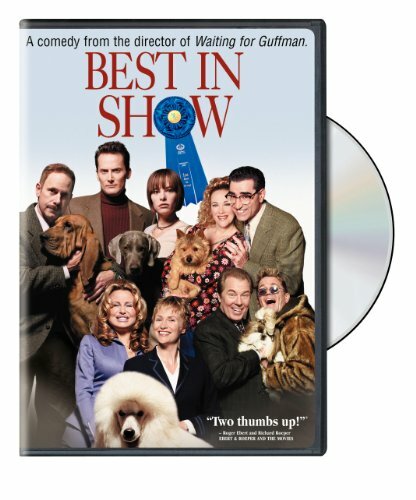 There is no monetary compensation awarded for the Best in Show. Bragging rights is the ultimate honor for the winner. 5? x 7? silver plated picture frame. Sterling Silver Obedience Finalist Medal and an Agility Championship 1st Place Medallion. Regardless of breed, category or variety, all canines offer their own unique personality and characteristic. Westminster opens their door to spectators who love and honor dogs around the world. Watching handlers show off their babies is an enjoyable experience whether you tune in to watch it live on television or are fortunate enough to attend the event. While I’m happy and proud that Flynn, the Bichon Frise, is representing Harley’s peeps, all doggies are winners in my book.